If you’ve ever used a consumer 3D printer, it was almost definitely an FFF (Fused Filament Fabrication) type that extruded thermoplastic filament. FFF 3D printers offer an ideal balance of cost, build volume, print quality, and print speed. But if you’ve ever tried to print anything small with fine detail, you’ve probably noticed that they’re not up to the task. SLA printers, on the other hand, are perfect for fine detail, and the new SparkMaker FHD is one of the most affordable models we’ve ever seen. SLA (stereolithography) was the first 3D printing process to be developed, and it works by shining light on photopolymer resin in order to cure and harden each layer. Many modern SLA printers, including the SparkMaker FHD, do that by projecting the light through an LCD screen so that an entire layer can be cured at once. The process yields very high detail, but SLA printers have traditionally been too expensive for the average maker. SparkMaker FHD stands out because it’s as affordable as a budget FFF 3D printer. The original SparkMaker was successfully funded on Kickstarter last year, but only had 720p LCD screen that limited that detail. The new SparkMaker HD takes the same cost-effective design, but adds a full-HD 1080p LCD. With that, it’s capable of printing at a resolution of 57 μm in the X and Y axes. It also has a larger 61.8 x 110 x 125 mm build volume. That’s smaller than just about every FFF printer on the market, but is enough for printing small, intricate models. The SparkMaker FHD Kickstarter campaign is running until September 25th, and there are still early bird specials available for $249. Rewards are expected to ship in November. 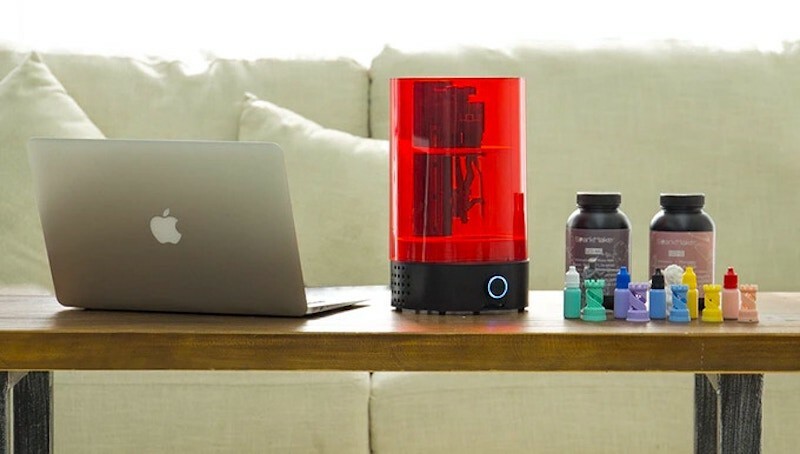 SparkMaker FHD Is an SLA 3D Printer at an Incredibly Affordable Price was originally published in Hackster Blog on Medium, where people are continuing the conversation by highlighting and responding to this story.